Petición de Españoles en Reino Unido - Surviving Brexit! Give a formal guarantee now to all EU citizens currently residing in the UK and all British nationals currently living in the EU, to maintain their existing full rights of residence and work after the UK has formally left the EU, that they currently enjoy as EU citizens. This guarantee needs to be made in a way that does not exclude hundreds of thousands of citizens who may not be considered ‘lawfully resident’ as a result of bureaucratic technicalities such as the conditions around ‘Comprehensive Sickness Insurance’ in the UK. Since the result of the EU referendum last year, many migrant EU citizens in the UK and British in the EU have been deeply concerned about the lack of guarantees about their situation as residents in their adopted countries. 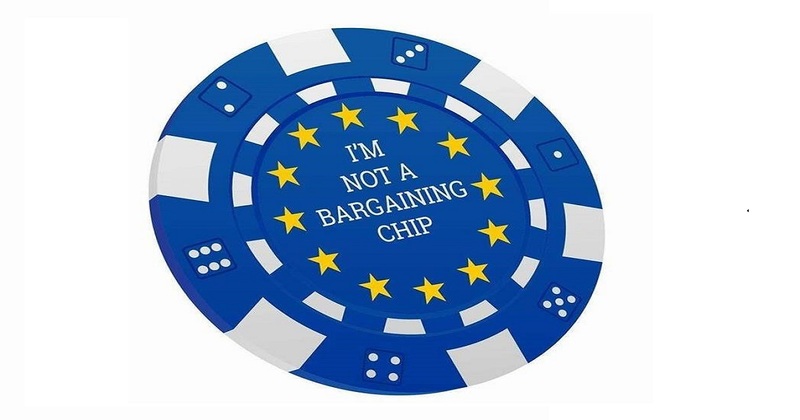 UK and EU governments seem to lack commitment in securing their status and many migrant groups have expressed a concern that they feel like their lives will be treated as ‘bargaining chips’ in the Brexit negotiations. The potential impacts of residence or employment rights not being granted are huge. Families could be torn apart, the elderly could be deprived of their pensions, sick people could be denied their health care, workers could be discriminated against. The fact that these potential consequences are so far-reaching and disruptive means that millions of people in the UK and across the EU are already living with huge amounts of stress while the situation remains unresolved. It is not enough for politicians to make vague statements to assure people that the worst case scenarios will not happen - this situation needs to be resolved now. This petition has been initiated by groups of Spanish residents in the UK and British residents in Spain although the content of this letter is relevant to all EU national residents in the UK and UK national residents in the EU. We would like to express our concern about the situation we are experiencing as a result of the EU referendum of June 23rd 2016 in the UK. 1) There is not requirement for Europeans to register with the Home Office in the UK at present, however, immigration organizations and experts are currently advising EEA citizens to apply for a UK residence permit such as a permanent residence card (PR) or a certificate of residence (CR). In the case of permanent residence, the application process in the UK is extremely complex compared to those in other EU member states. In addition, it requires compiling and handing over evidence of all sorts (work, bank statements etc). At present, the figures show that the UK Home Office rejects up to 30% of all submitted applications. However, this percentage may well be higher when considering not only those who apply for permanent residency but also the total migrant EU population in the UK, as many appear to have decided not to apply for their own personal reasons or because they feel they do not qualify for it (see point 2 below). Many also feel that since permanent residence is a concept derived from EU law, there are no guarantees that this status will be recognised in the UK following Brexit. 2) In relation to the permanent residency process, we would furthermore like to point out that a large section of EU citizens, despite having resided in their adopted countries for decades, are facing all kinds of difficulties to assert and secure their rights. This group consists of students, full-time mothers, disabled people, pensioners, carers and anyone who has taken a period off work. Citizens within this category would find it difficult to fulfil the CSI requirement and to formalize their residence status even though they reside legally in the UK or in EU countries. It is a duty of the receiving country to implement and enforce European Laws correctly. However, the UK Government has failed to do so choosing to uphold the NHS universal tenet and make it open to all residents regardless of their country of origin. This has invariably generated a paradox making law abiding residents into a “target group” which artificially increases the numbers of the so called bargaining chips. As you will understand, these are the most vulnerable residents, and we would like to know whether the EU has any foresight to assist these people who justifiably feel that their stay in their adopted country could be threatened. In addition, there is much in the mainstream media about the rights of ‘lawful’ migrant residents in both the EU and the UK but little mention of those unable to meet requirements to regularise their residence status. As a result, we fear that this group of vulnerable residents may not be considered ‘lawful’ and that their situation may not be given special treatment when negotiations begin. 3) Another vulnerable group is that of EU and UK nationals who have recently established themselves in their current countries of residence. These may not be able to meet the required time to qualify as permanent residents at the time the UK ceases to be a member of the EU, especially those that belong to the category described in point 2 above (e.g. pensioners). Again, some within this group may have applied for a certificate of residence while others may not have been able to do so as the official standpoint of the UK is that this registration is not compulsory. Nevertheless, we have seen with extreme concern how the British government has referred to this group as "bargaining chips" or ‘negotiating capital’ in any future negotiations with the EU. It is thus reasonable that many of these citizens question whether their future residence rights in their adopted country will only be dependent on their work status at the time of the completion of Brexit as they might not have acquired the five years necessary to obtain permanent residency and their status will depend on future negotiations and possible cut off dates to be yet established. 4) Large numbers of EU citizens will in no doubt choose to naturalise as a way to ensure their rights fully and to further express their views through the voting system. However, some EU countries do not accept dual nationality or, if they do, it may be dependent on both countries being members of the EU as no dual nationality agreements have been established between them. In addition, in some EU countries such as Spain, naturalised nationals may officially be required to renounce to their nationality of origin. Therefore, a big sector of the affected migrant population feels unable to secure their residence status using the naturalization path. 5) Finally, many EU and UK migrant nationals have already decided to return to their country of origin in view of the uncertainty created by the EU referendum in the UK and, possibly, more will do so once article 50 has been triggered soon. This is usually done at considerable expense by the individuals and/or families concerned, particularly those in the UK returning to the EU due to the low value of the British pound. Multiply your impact by sharing this petition with your friends and family! Tell the EU parliamentary president that EU citizens currently residing in the UK and British nationals currently living in the EU need a guarantee now to maintain their existing full rights of residence and work after Brexit.